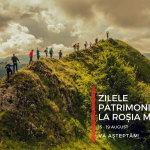 The third edition of Roșia Montană Heritage Days will be held between 15-19 August. All activities are free. We are waiting for you! 15:00 hrs. Village Tour. Roşia Montană is the village in Romania with the largest number of heritage monuments. We start from Piaţa Veche (Old Square) and walk along Siciliană Street, then we wander on the small streets with a fragrance of old times. We discover the story of this traditional town, guided by an enthusiastic architect. 17:00 hrs . Old Miners’ Tour. The first surprise we prepared for the 2018 Heritage Days is a premiere trail along the route followed by the village’s gold miners to the traditional mining galleries. You will learn in this tour the differences between underground mining, done for about 2000 years, and open pit mining, which started in the communist period and which some people want to continue now. We also visit the natural monuments Piatra Corbului, Piatra Despicată and Roşia Montană Sphynx. Attention: the trail includes some steep areas. Only persons with mountain hiking experience may participate, equipped with solid hiking boots. We start at 17.00 hrs from Piaţa Centrală (Central Square) in Roşia Montană. 19:00 hrs. FILM: “Noul Eldorado”/”New Eldorado”, Tibor Kocsis, 2004. “They break our mountains in two. I am a beekeeper. I didn’t want to emigrate. What should I do with that dirty money? I’m not going because I’m old. Where should I go? To hell! “New Eldorado”, launched in 2004, presents the first years of the mining company’s presence in Roșia Montană. A picturesque place, disturbed by the trucks rattling around the village. And because of the company that sees a new Eldorado in Roșia Montană, the rattling of truck, bulldozer and excavator motors amplifies the local people’s dramas. Some of them want to leave – they are content with the billion lei they receive from the Canadians and will move to another place, with modern houses. Others, however, will not leave. 21:00 hrs. FILM – “Aniversare”/”Anniversary”, Claudiu Mitcu, 2017, 54 min. The documentary is about a grandfather who celebrates his 91st anniversary and welcomes his children, grandchildren and great-grandchildren in the mountain village where he lives. Ioan Condea tells them stories about his loves, about wild stags and bears, about loneliness and time, while at the same time supervising them build a new grave and cross for him. (Source: Scena9). Detunata Goală is a protected area close to Roșia Montană. This nature reserve is called “the most beautiful peak of Apuseni Mountains”, thanks to its outstanding hexagon-wedge-shaped columns. We invite you to enjoy together the gorgeous landscape, and then to perk up with a traditional pie at Fefeleaga Bait. There we can have a chat with Vetălău, the great-grandson of the famous Fefeleaga, described in the story with the same name by Romanian writer Ion Agârbiceanu. We leave for the Tour of Detunatele Cliffs on Thursday at 10.00 hrs from the Central Square in Roșia Montană. We’ll go there by car and then walk up to the cliffs. Please register for this tour, free of charge, at vacanta@prieteniirosieimontane.ro . 15:00 hrs. Workshop on traditional building techniques. 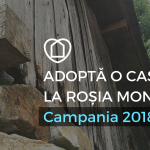 Each year during the Heritage Days ARA Association, which develops the programme Adopt a House in Roșia Montană, organizes activities for the public. We experiment together local techniques, traditional materials and some of the experience gained during the years we spent near local craftsmen. 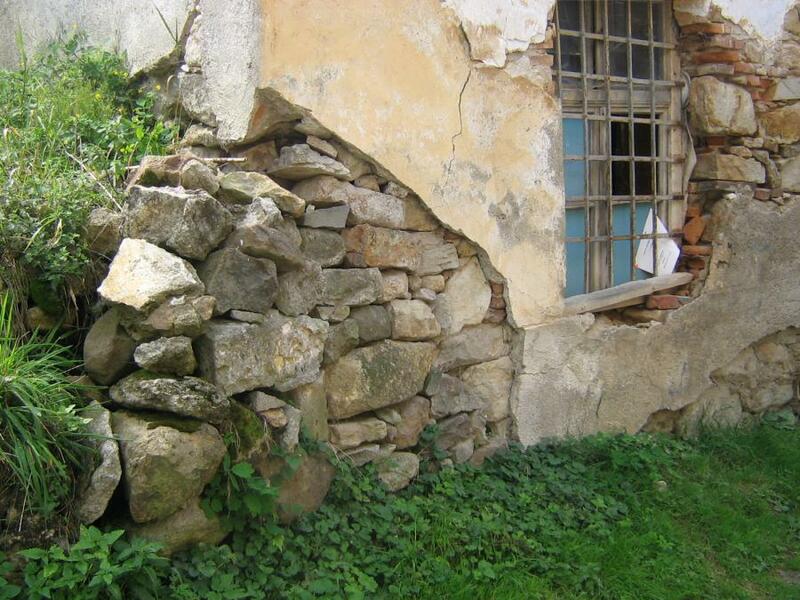 This year we’ll learn how to prepare and to apply lime and sand plaster and how to process wood. Do you want to help birds survive a frosty winter? Learn how to make feeders for them, from materials you already have at home. Learn what is the appropriate food for various species and how you can attract them to your feeder. How long and how often should they be fed? We’ll craft things and talk about all this at the bird feeder workshop. 18:00 hrs. 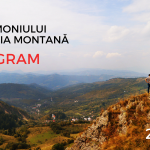 FILM: “Fâneţe montane: rezerve de biodiversitate și cultură tradițională”/ “Mountain hay meadows – hotspots of biodiversity and traditional culture”, Agota Juhasz, 2015. The documentary describes how traditional practices related to hay meadows in Transylvania create and maintain an outstanding biodiversity and specific landscapes, providing healthy food and sustainable economies and rural communities. The study documents the traditional knowledge specific to this endangered life style and also describes the challenges of European policies for protecting this type of habitat and encouraging small farmers who manage these cultural landscapes. 21:00 hrs. FILM – “Constantin and Elena”, Andrei Dăscălescu, 2009, 97 min. “Constantin and Elena” is a documentary about naturalness, about the simple beauty of a life lived to the full. From a simple family film it turned into a documentary with nominations and awards won at many festivals. Andrei Dăscălescu managed to turn his grandparents’ life into a story which we all identify ourselves with. Powered by Culese din Balkani. Cheerful and colourful, whether we notice them or not, birds accompany us everywhere in our walks through Roșia Montană. Or in any other green area you cross. Yes, even between the blocks of flats in your town. Let’s talk about them and even notice them in their homes: among grasses, near a brook, among the leaves of old trees or pecking some fruit in an orchard. You learn which species you are most likely to meet, how to recognize them by their silhouette, plumage or song and you discover something interesting about each of them. How to build a beehive? How to communicate with bees? How to make honey? We invite you to learn all these in Corna village from a local beekeeper who has been developing his small business for ten years. 16:00 hrs. Oamenii Patrimoniului / Heritage People / exhibition, film, debate / ARCHE. The Heritage People project aims to develop an online platform to bring together initiatives for safeguarding built and immaterial heritage. We invite you to discover success stories about people who managed to reactivate local communities by heritage safeguarding initiatives. The project aims for an integrated strategy to promote relevant stories and best practice examples, whether individual or collective, by short video interviews which give an overview of each story. Their role is not only to inform but also to offer opportunities to get involved: we encourage you to contribute to these efforts by individual actions (volunteering, financial contributions, visits to heritage sites etc.). Heritage People is about each of us, because heritage belongs to all of us equally. Maria Răducanu returns to Roșia Montană, this time for a premiere concert at the Unitarian Church. 21:00 hrs. FILM – “Oameni și fiare”/”Men and iron”, Hanno Hoefer, coordinator Laura Iliescu Jiga, 2013, 35 min. 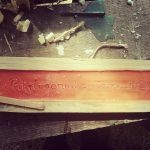 “Oameni şi fiare” (2012) is a documentary about the research of the real and imaginary status of blacksmiths in Romanian society, from the pre-industrial time to the consumer society. “Paștele blajinilor”/”Radonitsa”, Claudiu Mitcu, 2015, 19 min. Documentary about the inhabitants of a village in the Danube Delta who go to the cemetery to celebrate the departed, on the first Saturday after Orthodox Easter. After dusk we wait for you at the camp fire to find out the legends, myths and tales of Roșia Montană directly from locals. 10:00 hrs. Roșia Montană Village Quest with Roșia Montană Scouts – activity for playful children and parents. Roșia Montană Scouts prepared an interesting experience for adventurous children, along the history-laden small streets in the Old Centre of Roșia Montană. Children will set out in teams to discover the answers to Roșia Montană Village Quest and to recreate a lost map. We go through the almost 2000-year history of Roșia Montană, from the well-known Roman galleries to the 19th century facilities and the dangers entailed by contemporary open pit mining. The tour includes a visit to the Mining Museum. 12:00 hrs. Archaeological Tour – The visit to the Roman galleries will continue naturally with the Archaeological Tour, where experts in this field will reveal to us some important aspects of miners’ lives 2000 years ago. 15:00 hrs. What are these waxed tablets about? / National History Museum of Transylvania. We learn directly from specialists how Romans used to write, what materials they used, what the wax tablets were and what was their purpose. We’ll try to make together such a wax tablet. The workshop is recommended to children and parents alike. 18:00 hrs. 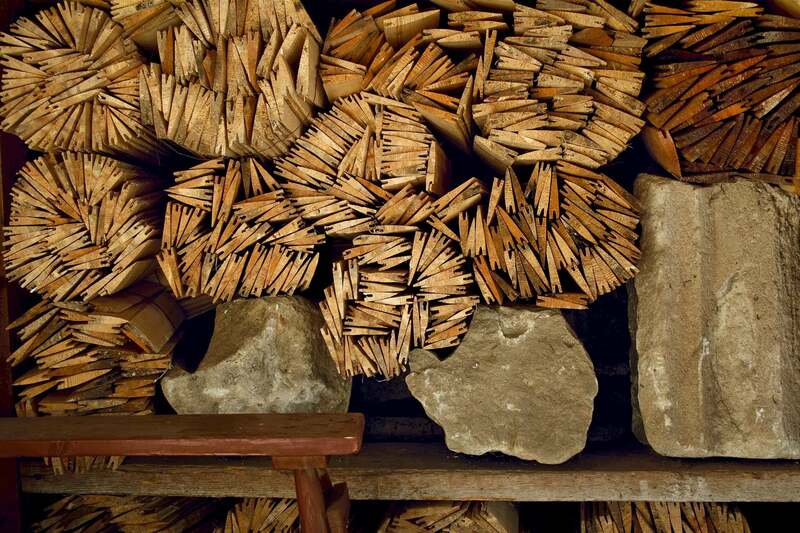 EXHIBITION: The history of Roșia Montană in photos / unpublished documents – private archive (Unitarian Church Tower). Debate on “Tourism in historical areas – case study on Roșia Montană”. We learn directly from the local people who focused on tourism during the last years what are the mechanisms they used to attract tourists and what are their plans for the future. 19:00 hrs. SPECIAL EVENT: Recital SOUND CHOIR / Unitarian Church. SOUND Choir will delight us in the Unitarian Church at the Heritage Days this year! SOUND Choir was established in 1994 as a mixed choir of the Students’ Culture House in Bucharest, with students and graduates from the National University of Music and other universities in Bucharest. Their repertoire attracts a wide audience and includes works of the Romanian and world heritage, from the main creation ages, from medieval music to contemporary as well as musical entertainment works. 21:00 hrs. FILM. “Planeta Petrila”/”Petrila Planet”, Andrei Dăscălescu, 2017, 54 min. 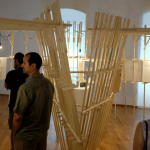 In Petrila, a mining town in Transylvania, a former miner who became an artist and an activist uses the town as a painting canvas and at the same time as a battle field, expressing his dissatisfaction with the local authorities who decided to demolish the historical mine buildings. 05.00 hrs – Morning Photography Tour – Sunrise in Roşia Montană. The landscapes of the area have become famous after having been shown in films and photo exhibitions. We invite you to enjoy the most beautiful sunrise, along with the explanations of an enthusiast guide. People in Roşia Montană have always been a multiethnic and multiconfessional community, with Romanians, Hungarians, Germans and other ethnic groups living in peace and good neighbourhood. Churches are the place where harmony is still present. We take a walking tour of Roșia Montană, the Romanian village with the largest number of heritage monuments, both secular and religious.
! The programme may be subject to change depending on weather conditions. Please also check the event’s Facebook page for real time information. ► ► All events are organized by volunteer work and the special guests participate pro-bono. Participation in all activities is free, provided that organisers’ recommendations are complied with (e.g. proper equipment in certain guided tours).